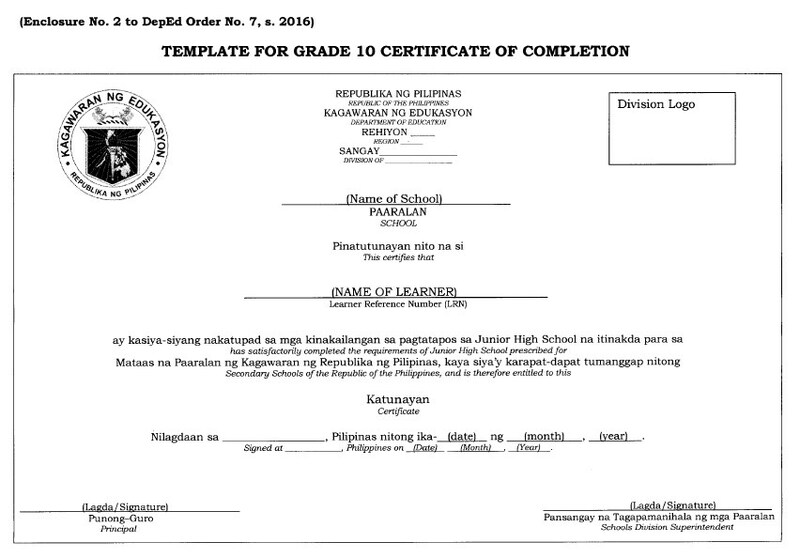 The closing of school year 2015-2016 for the elementary and secondary schools in the country Philippines is regulated by DepEd Order No. 7, s. 2016 signed by Secretary Br. Armin A. Luistro FSC. This year's graduation theme is "Kabataan Mula sa K to 12, Tagapagdala ng Kaunlaran sa Bansang Pilipinas." This is geared to a formative vehicle for local and national development. 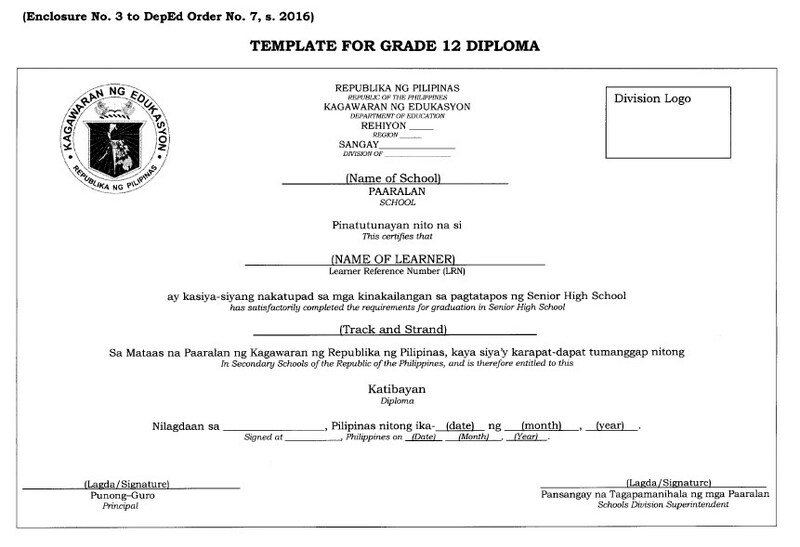 The graduation rites would on or before April 1, 2016. It should be simple but meaningful affairs which encourage civil rights, a sensee of community, and personal responsibility. 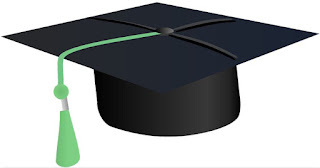 No excessive spending, extravagant attire, or extraordinary venue may be required from the learners. 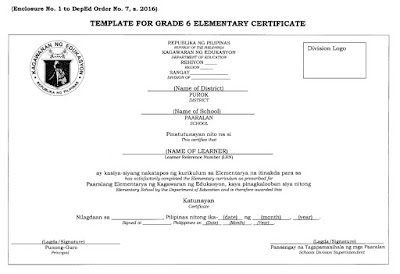 For public schools only, expenses for the graduation activity are charged to the school maintenance and other operating expenses (MOOE) under the 2016 budget. 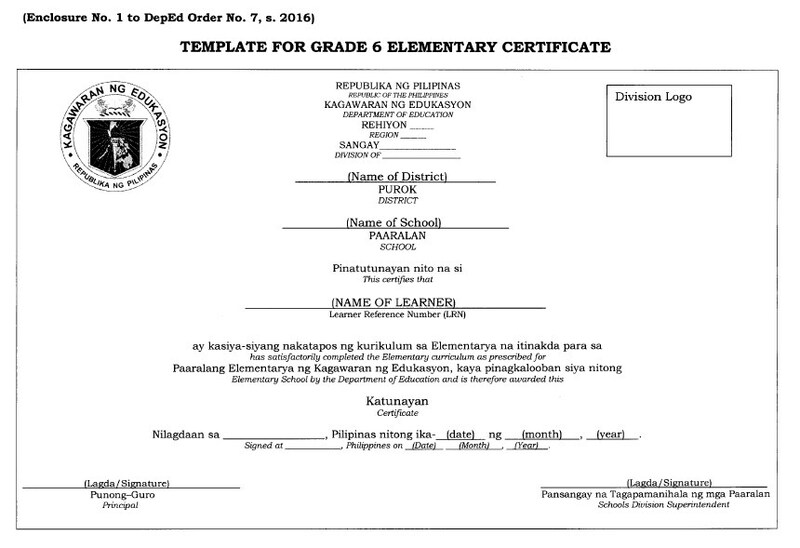 No collection or contribution of any kind would be made by any DepEd personnel. Sample Certificate and DiplomaTemplate for Grade 6, Grade 10 and Grade 12 respectively.